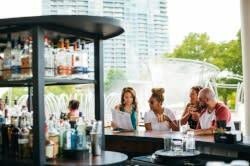 When I think of Columbus, some of the things at the top of my mind are our great restaurants, diverse neighborhoods and districts and beloved local breweries, distilleries and coffee shops. What was absent from my list are comics and cartoons, but not anymore! Unbeknownst to many, Columbus has long been an incubator for artists as storytellers. James Thurber, the American humorist, author and New Yorker cartoonist, was born in Columbus in 1894. Visitors and residents alike can visit the Thurber House, where Thurber once lived with his family, and take part in a literary program or enjoy their Evenings with Authors series. The Ohio State University is home to the Billy Ireland Cartoon Library & Museum, located in Sullivant Hall. 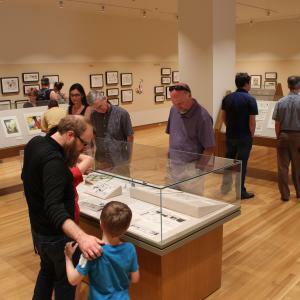 According to their website, the Library & Museum “houses the world’s largest collection of materials related to cartoons and comics, including original art, books, magazines, journals, comic books, archival materials, and newspaper comic strip pages and clippings.” Admission is free! Make sure to check out their schedule before you visit though, as they close between exhibitions for installation. 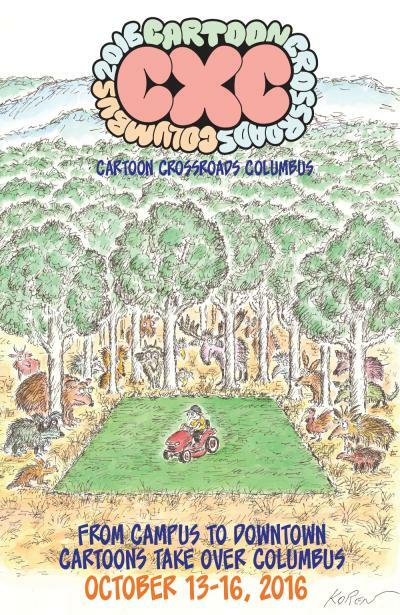 If that is not enough to peak your interest, Columbus is set to host the 2nd Annual Cartoon Crossroads Columbus (CXC) October 13-16. Special exhibitions affiliated with CXC will take place all over Columbus from the Columbus College of Art & Design to the Ohio Art League and the Columbus Metropolitan Club luncheon, “Cartoon Royalty Descends on Columbus.” Artists schedule to appear are Pulitzer prize winners like Garry Trudeau and Ann Telnaes, both of whom often tackle the political realm in their work, so you know this is a fascinating time to hear them speak. Most events are free and open to the public, so check out the schedule and get planning!